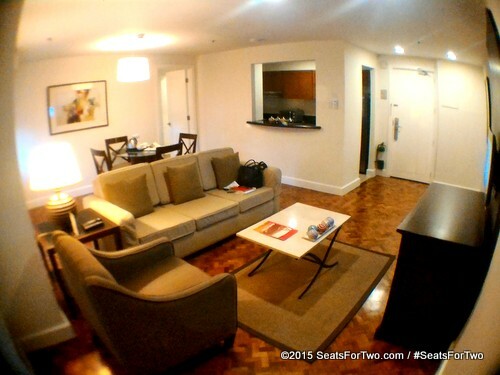 Somerset Olympia is one of the timeless hotels / serviced residence in Makati. 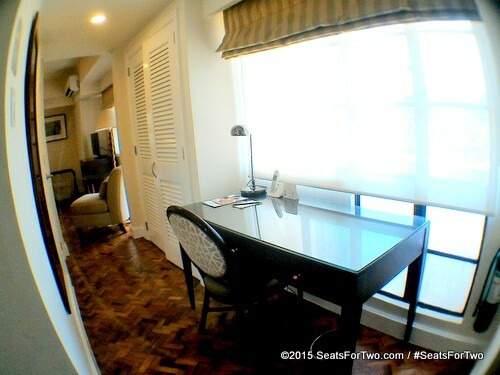 Sometime last year, we booked an overnight stay at Somerset Makati because I've been wanting to stay in old hotels in Manila. Somerset is old in terms of the number of years but definitely not outdated or shabby. In fact, we had a wonderful time together as husband and wife. We booked a massage, eat at the Old Swiss Inn and lounged at the pool. 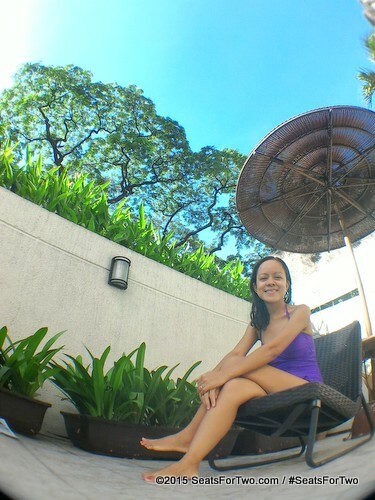 Anyway, I'm sharing with you my favorite spots at Somerset Makati. Having coffee while reading my blog from my smartphone and checking mails. The bed was comfy and soft even the towels and bathrobe. We hit the pool after a good breakfast at Old Swiss Inn. There's only one pool and it's 4 feet high. 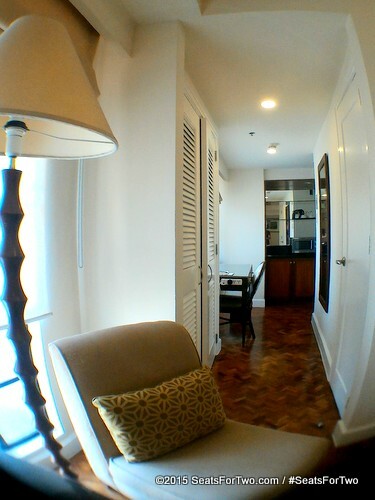 our family room has complete and modern facilities, in fact our kitchen appliances are mostly ElectroluxPH brand. We also have a very spacious living room with LCD television and DVD player. The wooden-tile flooring is so beautiful. 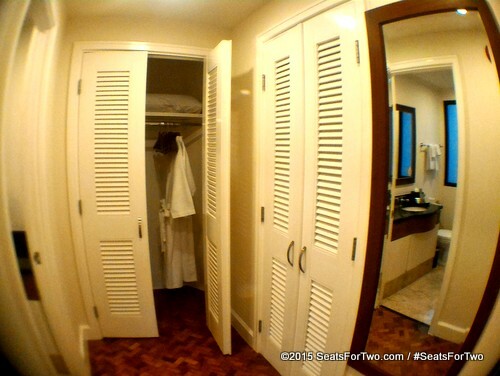 The walk-in closet in white looks gorgeous and classy. Isn't it very tidy and organized? I really want this at home. This one is definitely one of the best spots hubby and I noticed during our property tour. The living room ideas made by Somerset Olympia is very timeless and deserves a mention. I want a work station with a couch besides a tall lampshade. How about a work station that allows sunlight to come inside overlooking the city? Away from the television but connected to the kitchen you would easily grab a cup of coffee or snacks. 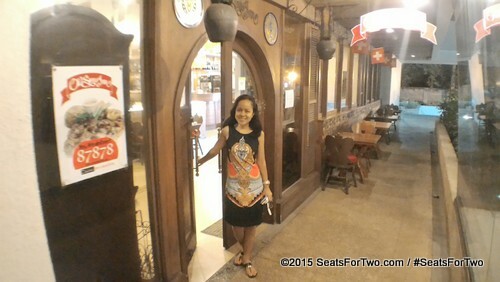 Old Swiss Inn is one of the oldest restaurant in Makati. You can find more photos and the details of our room at Somerset Olympia by visiting our couple lifestyle blog, Seats For Two. 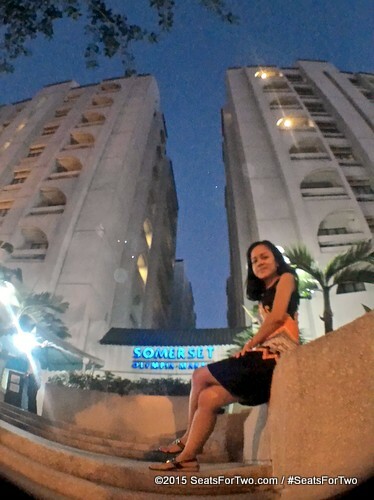 You may also want to read our review of the modern and chic Somerset Alabang Manila here. Overall, we had a wonderful vacation at Somerset. We spent more time just lying on the bed, watching a movie, lounging at the pool and walking along Ayala Triangle park followed with a very good Singaporean lunch at Wee Nam Kee. Of course, a special dinner prepared by Old Swiss Inn, we will tell you more about it soon, so please keep on visiting. You would want to read about my experience of the Organic Scalp Treatment at Creations By Lourd Ramos here. It's located at the entrance of Somerset Olympia. I think Somerset Olympia is one of the perfect place to treat parents on special occasions like Mother's Day and Father's Day.